Cosplay is one of the best hobbies around because of the freedom to totally immersive yourself in your favourite characters from pop culture. Nevertheless you’re still in the real world and so really need to take note of some important rules, especially regarding cosplay weapons and props. Fortunately as this is an important issue within the cosplay scene MCM, the organisers of ComicCon, have issued detailed guidance on what won’t be tolerated at their events. However, you should still remember that both MCM and their venues reserve the right to reject any weapon or prop if its deemed likely to cause a nuisance. If this happens to you then try not to make too much of a big deal about it and don’t let it ruin what will otherwise be a great day. Actual guns, rifles, or artillery. Protruding nails or other sharp items. are part of a costume or prop. carried in public by the relevant country’s law. What Cosplay Weapons do ComicCon Allow? Foam cosplay chainsaw by Swordsaxe. Apart from these banned items, prop weapons made from “any sensible material, e.g. wood, foam and card” are permitted. However you must still avoid materials that may shatter into sharp pieces or otherwise pose a danger. 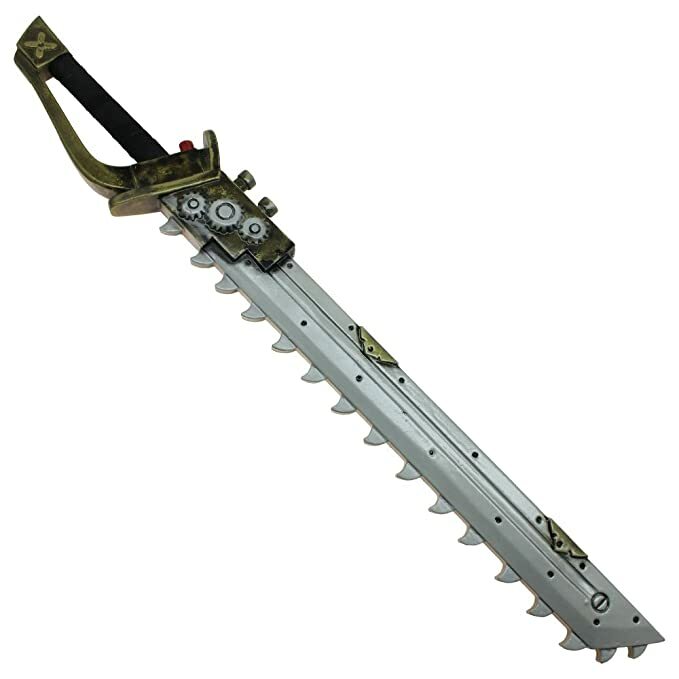 The maximum size permitted is 150cm, or 180cm in the case of a staff and anything larger must be able to separate into smaller pieces without tools and be dismantled before entering crowded areas. Entertainingly MCM notes that scythes are a particularly difficult item to carry safely and so they specify that they must be made to dismantle in two whatever their size. Equally shields are allowed as long as they do not exceed 1 metre in height or width. 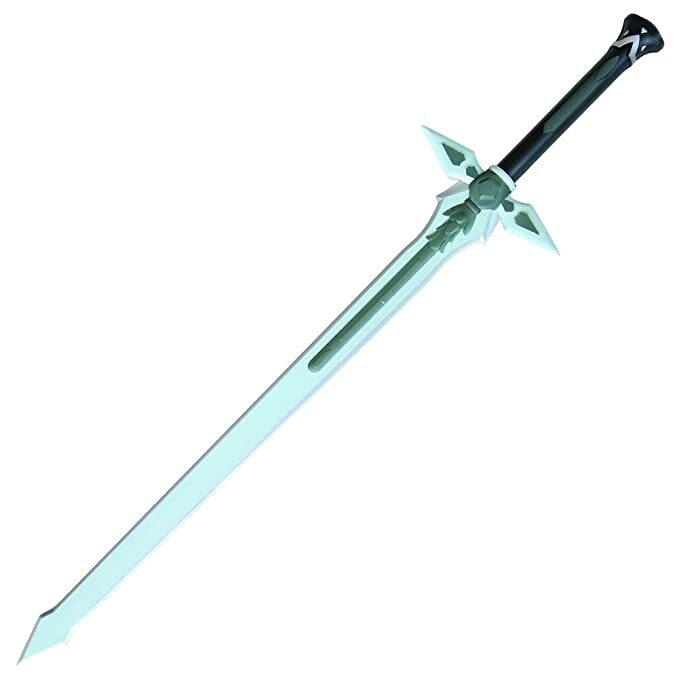 One of the few exceptions from the banned metal props is theatrical hollow aluminium retracting swords which are permitted providing there are no sharp edges. Equally foam weapons built round a core such as those used for live action roleplaying are permitted. 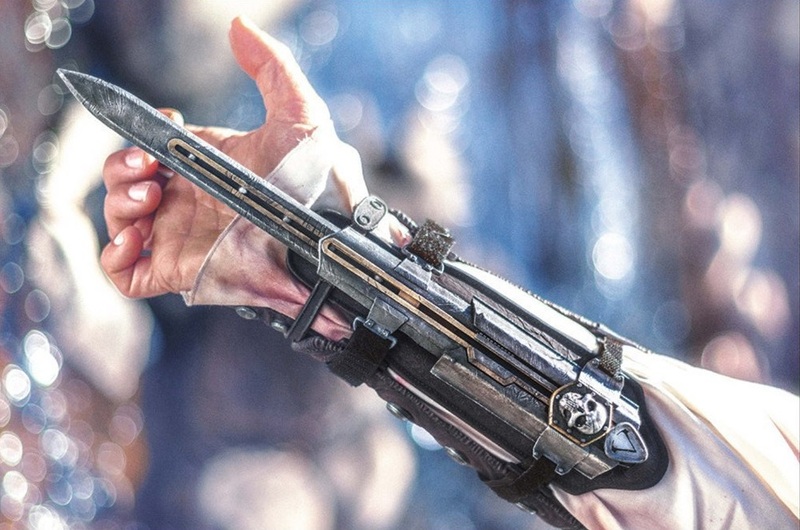 “Lightsabers are permitted- including those with a metal hilt,” say MCM. 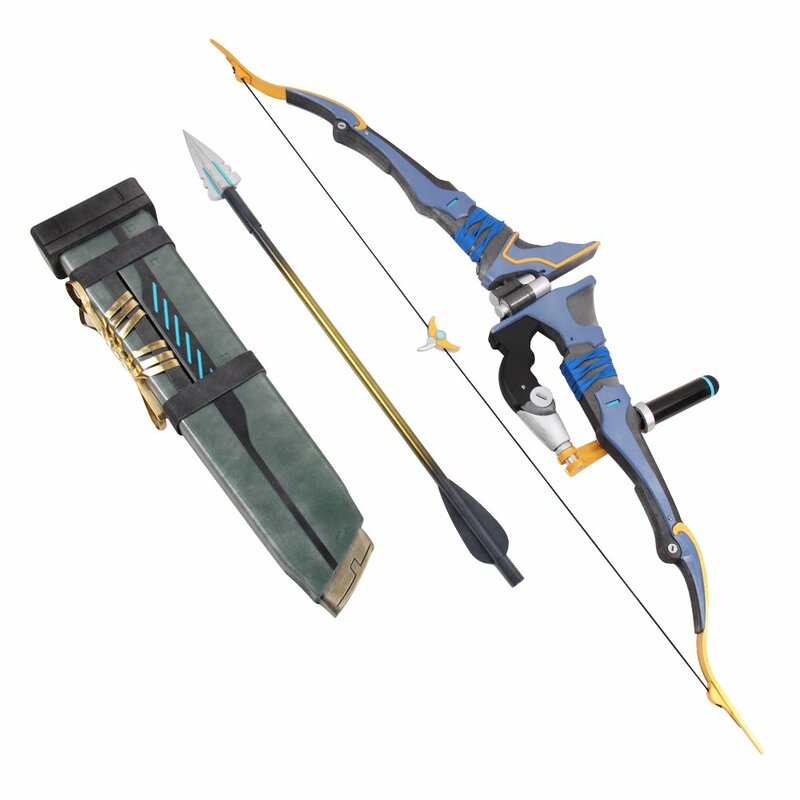 Mtxc Overwatch cosplay prop hanzo bow, arrows and quiver. Guns are fine providing that they are obviously fake – so they should be brightly-coloured childrens toys or really clearly sci-fi. This isn’t just a ComicCon rule as many countries, including the UK, ban realistic fake firearms. Despite that there is another pleasing exception for “antiquated muzzle-loading gun props such as flintlock pistols and blunderbusses.” You can also take realistic plastic guns providing they carry a large and brightly-coloured section which you are permitted to remove for photographs but metal imitation guns are not recommended. Any caps or ammunition besides foam darts are not allowed. As for bows the difficulty is that they cannot be strung in such a way that they could actually shoot anything and so you are limited to very obvious prop bows. That essentially means the bow must already be shaped to look like it is under tension. Of course even the theatrical cosplay weapons permitted at ComicCon can still cause problems outside the venue – especially if you haven’t changed into your cosplay costume yet! MCM recommends that you contact relevant authorities if you suspect an item you carry could cause a problem as police may destroy confiscated items without warning and attendees bring items to events at their own risk. The chances are that if you are a good prop maker you certainly have some items that could scare people on public transport. What can you do to avoid getting stopped by a police squad? Save yourself the worry and cover up. But don’t rely on us, see MCM’s full rules here.